Screenshield™ is a protective film made of a durable material that was primarily developed to protect sports and racing cars against scratches. The material was tested by SERVOCAM and is fully protected against scratches and UV rays that can cause colour fading. The film has been successfully tested on touchscreens. 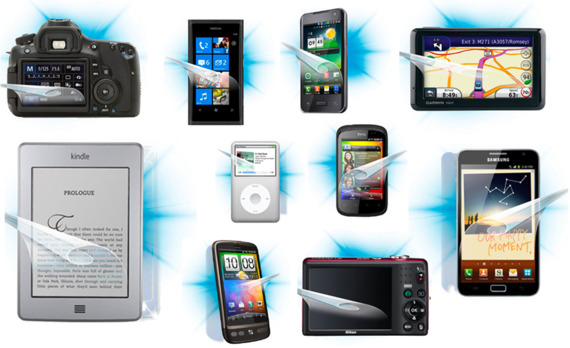 There is a process set in place that guarantees the newest and most precise cutting guides for various types products such as smartphones, GPS Navigation, MP3 players, e-readers or cameras integrating touch or non-touch screen displays. Screenshield™ films are only 150 microns thick, fully transparent, and most importantly, absolutely resistant against scratches and colour fading. They have been successfully tested for tensile strength following specifications (N/25mm) > 100, elongation at break (%) > 350 and dimension stability (mm) after 168h at 70 degrees Celsius 0.2. Do I have to cut Screenshield™ films on my own? If you find your device in our database on www.screenshield.com or www.skinzone.eu, we guarantee 100% accurate fit for your device, so you don't have to cut anything. What's included in the packaging? Screenshield™ comes with the film, a description of how to apply the film, liquid spray application, squeegee, and an anti-static micro-fiber cloth to clean your display. We strongly recommend to keep all of these items after application in case of eventual warranty replacement. If you should apply for warranty replacement, we will send the film only. How do I apply the film? In order to achieve the perfect adherence, we strongly recommend customers follow the instruction video or thoroughly read the instruction guide. Should you need assistance, please to not hesitate to call us on our support line +420 603 701 983. After applying Screenshield™, we recommend to not fully use your device, unstick the film and do not lay your device with the screen facing downwards. Application liquid will clear several hours after. Potential micro air bubbles under the surface will disappear within 24 hours after application. Due to our extensive usability tests and research we offer Lifetime Warranty. For more details about our Warranty, please read section Life-time warranty. Can I use my device's protective case even after I apply Screenshield™? Yes, but we recommend after drying out the application liquid for at least 24 hours. If you follow our installation instructions thoroughly, the film will be 100% stuck to your screen. Warning! 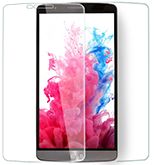 Screenshield™ film may fade or change its transparency into the original colors of a case (if used). Our research shows that some customers using Screenshield™ film protection in combination with some (not all) rubber / PVC-cases may experience this occurance. Also Screenshield™ film may get slightly unpeeled at the edges if a phone is continuously being placed and taken from a phone holder, for example. Skinzone as the manufacturer of Screenshield™ is not responsible and liable for warranties as per defined conditions. Will the film change the sensitivity of the display? When our film is applied to your touchscreen, sensitivity remains almost the same. 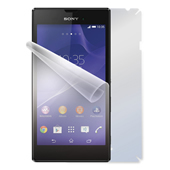 Is it possible to remove the Screenshield™ film? Yes, you can remove the film. However we recommend to remove it from the corners first and then horizontally remove it. The film may not be applied again with 100% accuracy. The film however does not leave unwanted residue on the display.